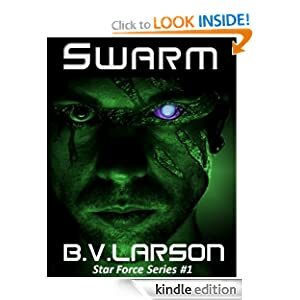 Those who loves science fiction can take the opportunity to get good book “Swarm (Star Force Series)” written by B. V. Larson just for $0.99. This is the first book of “Star Force Series“. Kyle Riggs is snatched by an alien spacecraft sometime after midnight. The ship is testing everyone it catches and murdering the weak. The good news is that Kyle keeps passing tests and staying alive. The bad news is the aliens who sent this ship are the nicest ones out there…. SWARM is the story of Earth’s annexation by an alien empire. Long considered a primitive people on a backwater planet, humanity finds itself in the middle of a war, and faced with extinction. SWARM is an 88,000 word novel of science fiction by bestselling author B. V. Larson. Amazon also offer for free downloading PolyClock World Clock. Need to know the time here, there, and everywhere? 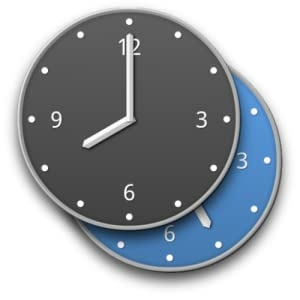 PolyClock for your Android device has the answer. The global clock app is an easy way to keep up on the time all over the world. Featuring a clean look and an easy interface, Polyclock lets you save multiple cities, view a time zone’s area on a map or globe, and see which parts of the world are experiencing daylight and which are experiencing darkness. PolyClock easily lets you save favorite cities to the app’s home screen. Choose virtually any city in the world or select for any timezone. You can save as many cities as you wish. The city and time are displayed in clear, large text, with white letters for AM and green letters for PM. Polyclock’s unique globe and map view feature provides an interesting look at the time of day as related to the rest of the world. Choose one of your previously selected cities and see it appear on either a map or globe. Also displayed are the borders of the time zone that city falls in. Move your finger across the map or globe to see what parts of the world see daylight and what parts are experiencing darkness. PolyClock supports landscape and horizontal view and includes a full-featured alarm clock. PolyClock also comes with different home screen widgets. Each widget is a different size, and you can choose which widget is the best fit for your device. You can also edit the “label” field for each clock. Get a satellite view of the world map. If you have a Honeycomb/ICS device, you can set resizable widgets. (You will need to delete your exisiting PolyClock widgets and re-add them). PolyClock supports a dyanimc International Date Line to reflect recent time zone changes for certain countries. This entry was posted in Kindle Applications, Kindle Apps, Kindle Books, Kindle Daily Deal and tagged B. V. Larson, PolyClock World Clock, Star Force Series, Swarm by Paul. Bookmark the permalink.